A relatively easy game to learn, seven card stud poker keeps the rules fairly simple, which means that the real art of the game comes from how you play it. Having a good seven card stud poker strategy is the key to longevity at any table you might sit down at. As stated before, the rules for seven card stud poker are pretty simple, even the betting is done with fixed betting rules, meaning there are only two types of bets a player can make, high or low. Each new round in a hand is called a “Street” and each hand starts on Third Street and continues on until Seventh Street, which is also known as the River. We will go over what happens on each street below. Third Street starts with all players paying their ante and being dealt two cards which are face down, and one card which is given face up for the table to see. The player with the lowest valued face up or “exposed” card pays the bring in, which is usually slightly lower than the low bet amount and the play continues to the next player clockwise around the table. Fourth Street gives each player another exposed card and betting starts with whoever has the highest poker hand showing and moves clockwise. Fifth Street is basically the same as fourth, but only high bets are allowed from here on out, and Sixth Street is identical to Fifth Street. Seventh Street is also pretty much the same as the previous rounds, except that the player is dealt their card face down this time. After a showdown, where the player who bet first, or would have bet first shows their cards first, the player with the best five card poker hand is declared the winner and collects the pot. The best skill any seven card poker player can have is the ability to read hands. It is a very important skill to have because almost the entirety of the strategy for the game is derived from reading hands. Due to the nature of the game, a player could be holding two pair, three-of-a-kind, or even four-of-a-kind without even showing a pair on the table. A flush, or straight is also fairly easy to hide in the cards because of this, so knowing what to look out for can help immensely. 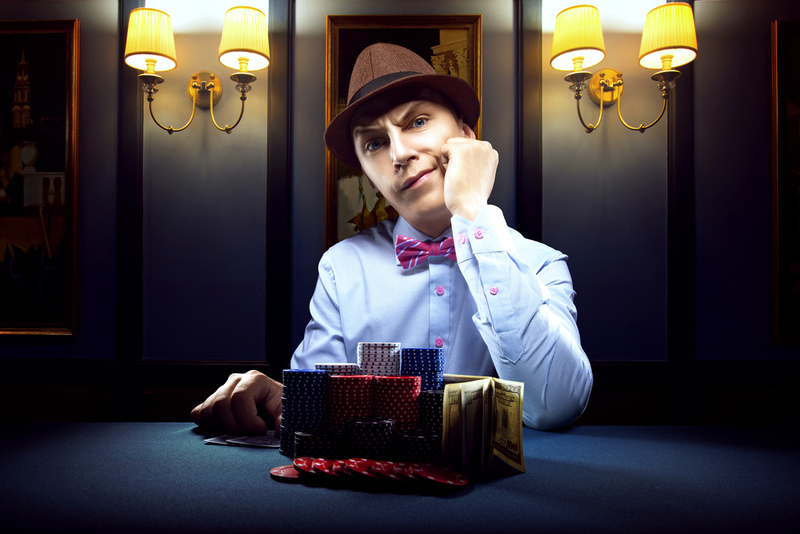 The seven card stud poker tips below can help you to not only stay in games longer but also win more along the way. The first thing to look at are the exposed cards that are dealt on Third Street, and to look at them quickly before players start folding out and the cards are removed from view. In a full table, you can see up to seven other cards that aren’t in your hand this way. It is important to remember that any time a card you need is showing on the table, the fewer chances you have of getting a card of the same number or suit for yourself. Look for a flush first, if you have two or three cards that are suited, check the table for any other suited cards that you might need. For example, if you’re looking for hearts to fill out your flush and you see two or more other hearts on the table, your flush probably won’t come to be so you should start looking for something else to play. If you flush has died, the next thing you should keep an eye out for is a straight. Make sure to pay special attention to any connecting cards that you need that might be on the table. For example, if you are holding 5,6,7 and you see 3, 4, 8, or 9’s on the table, it is going to be much, much less likely that your straight will work out. Try to make some pairs if your straight falls apart, “pairs” is plural for a reason, as one pair is going be an extremely rare win in seven card stud poker, so try for two. If players are showing cards that are higher than yours, or the same cards, it is probably best to fold. Also, keep your eye on players that are raising and re-raising and fold out if you don’t have a strong hand and they are continually raising. Playing it safe can have your stack live to see another hand.